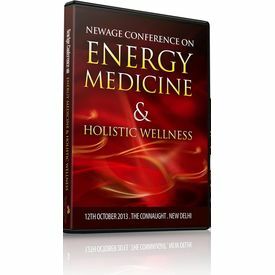 A 4 DVD Set containing nearly 5 Hours of the full conference featuring 5 speakers. This “Highly Educative” conference covers the major and long overdue health care revolution, taking place right now! Five thousand years ago, Traditional Systems Of Medicine had already recognized that energetic processes are of fundamental importance to our life. In ‘qi’, the bio-energy, Energy Medicine sees the source of human health and vitality, It sees life processes as a unit of body, spirit and soul, embedded in a network of energy throughout the body. Likewise, lack of energy, illness, and psychological stress factors are an expression of deficiencies in the flow of energy. 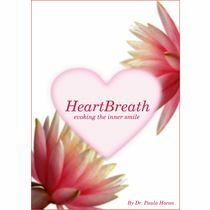 Often, a lack of energy is not treated for years, until the natural energy source of the organisms are exhausted and the energy deficiency finally manifests itself in the form of illness. 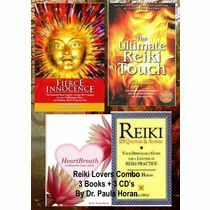 International Reiki Master, PhD in Psychology, EFT Practioner and author of various books including bestseller such as ‘Ultimate Reiki Touch’ and ‘Heal yourself with Oxygen’, she has dedicated her life to this school of integrative awareness. Dr. Ravinder Kumar Tuli is a 1964 batch alumnus of the prestigious Armed Forces Medical College, Pune, India. In his pursuit of perfect health and to fill-in the wide blanks in modern medicine, he went onto study the system of Acupuncture in various institutions in China, the philosophy of Indian Yoga, Ayurveda & Naturopathy, the Psycho-Hypnotherapy, etc. He integrates a wholesome model of healthcare devoid of using any medication with promise to naturally cure all ailments of an individual. is a Consultant Physiotherapist and Rehab Specialist from Pune. Since last 15 yrs he has endeavored for one and only goal of, 'early and maximum recovery' of patients from long term illness. He has introduced new international therapies in India. He is a national teacher for PEMF and Matrix Therapy in India. He is also conducting research for various complicated conditions. An I.T Engineer by Education, he is a pioneer in Integrating Science & Spirituality who promotes the Concept of Holistic Health & Energy Medicine. . He is the Co-Founder & Director (R&D) of Biofield Global Research Inc. Due to his pioneering work in the field of spirituality & metaphysics he has come to be known as a spiritual scientist.